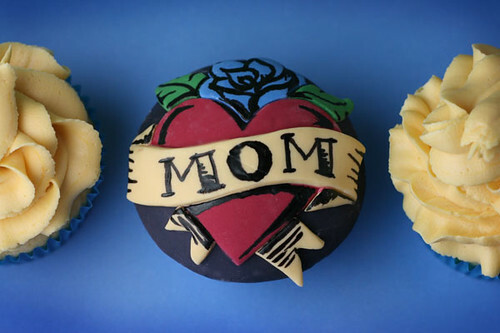 It's Mother's Day soon, for British readers anyway, and who else is more worthy of some delicious cupcakes than the special lady who fed you Calpol when you were poorly and kissed all those grazed knees better?! Bakerella just never gets it wrong! Serve this cupcake to a delighted young-at-heart mum on mother's day. These are very pretty and very Cath Kidston. Sometimes a lot of decoration can take away from cupcakes looking edible, let alone delicious, but that icing looks very tempting! My lovely friend Kez (who also works at the bakery I work at...my nickname is Kaz...how confusing is that?!) 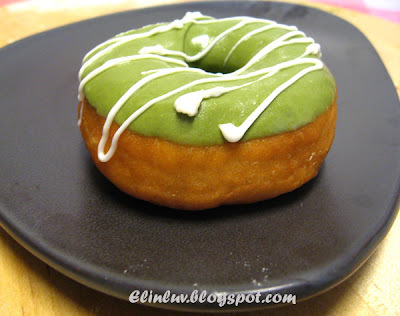 showed me this blog, EpiCute, and I posted it on here right away! Get ready for a cute and pink overload! I got this nice surprise in my inbox today in my StumpleUpon recommended cooking site email. I love caramel. So much so that love is the only word I can use. Nothing else can describe my feelings towards caramel. If you share similar feelings towards this sugary confection, have a go at making these caramel cupcakes from the Piece of Cake blog. A meat lover's starter. This is a light way to start a Valentine's meal. There's nothing worse than feeling stuffed by the first course on a date! Valentine's Day can be a chore. There's the pressure of letting your loved one know you care without looking clingy and insane. You have to buy a meaningful present, while steering clear of anything either fluffy or stuffed. Or both. Cooking dinner together, or ,if one of you lacks basic culinary skill, cooking for your partner can be the perfect way to spend time together and feel close on Valentine's Day. 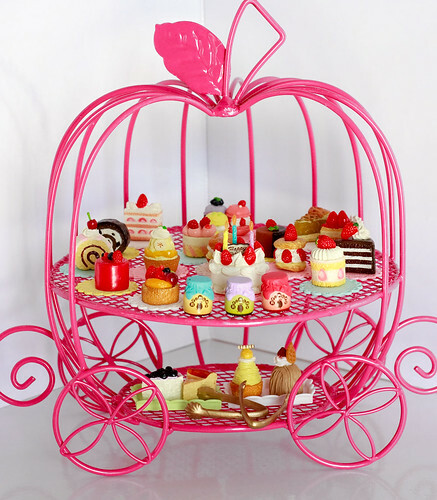 Cake and Saucer is here to help cater to every palette so the big day runs smoothly. Ladies and Gentlemen, I give you my Valentine's Day post! 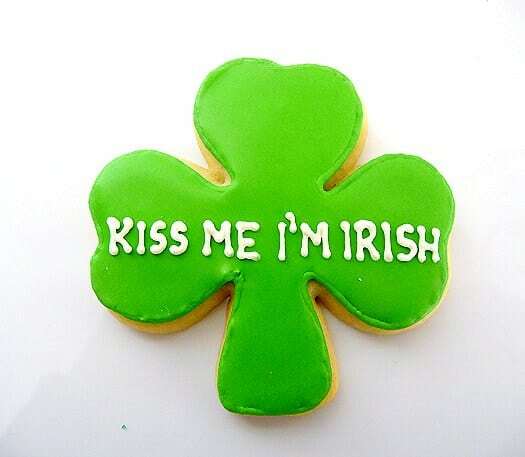 It's just a few days away now, but there's still time for all of you romantics out there to prepare. I've picked a selection of photos that show the endless ideas to impress your Valentine with. 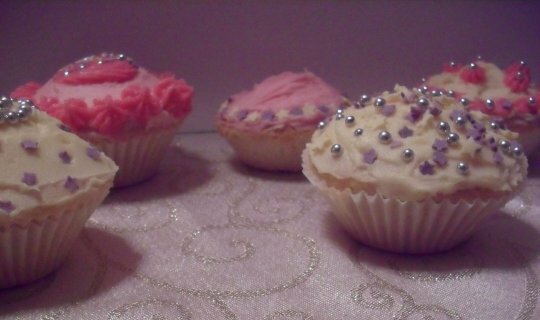 There's something for everyone, from cute pink fairy cakes to utterly sinful chocolate cupcakes. Valentine's Day is one of those occasions where making something yourself, however unsuccessful it is, is truly appreciated. 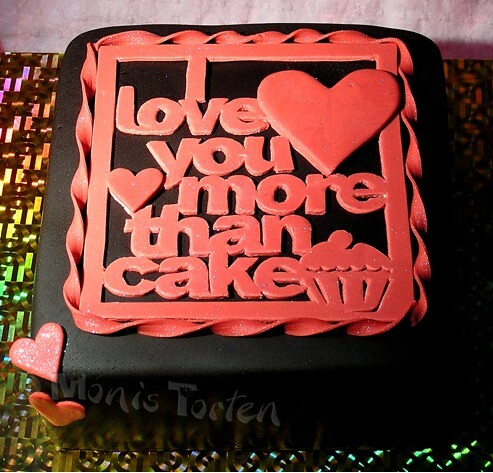 So this year, take inspiration from these amazing cakes and have a go at making something beautiful for your loved one! These cupcakes by My Sweet and Saucy are simply stunning. They manage to be detailed and intricate yet elegant at the same time. If you're feeling brave, here is the tutorial on how to make them. They are by far my favourite. 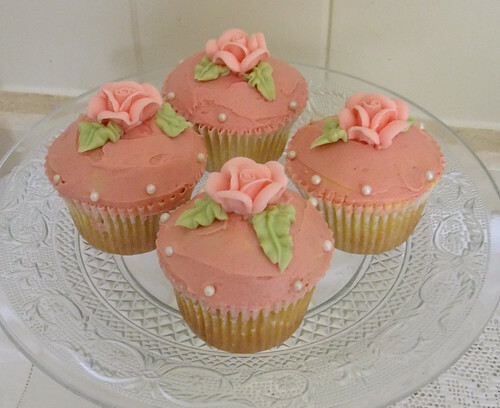 These pretty cupcakes are perfect for those who prefer a more subtle approach to celebrating Valentine's Day. 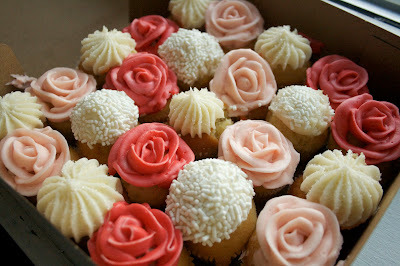 These mini-cupcakes are from Kumquat Cupcakery in NYC. If you really want to go alternative this Sunday, they also sell maple bacon mini cupcakes! Abbietabbie is a lady I found on flickr who describes herself as someone "who makes cakes as a hobby", which goes to show you don't have to own a bakery to put a lot of effort into what you do! Her other cakes are very impressive, but I love how simply and effective these are. Breeleed made these beautifully iced cupcakes for her grandma, which reminds me of when my mum used to send cards to my brother and I pretending they were from secret admirers. 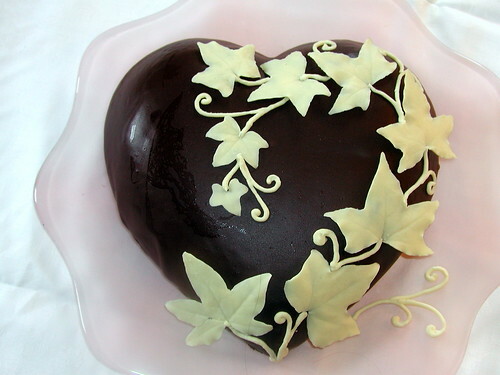 If you are secretly admiring someone and feel it's time to let them know, just say the words Belgian white chocolate ivy leaves on a ganache glazed chocolate cake and watch them fall in love with you. You can thank me with an invite to your wedding. 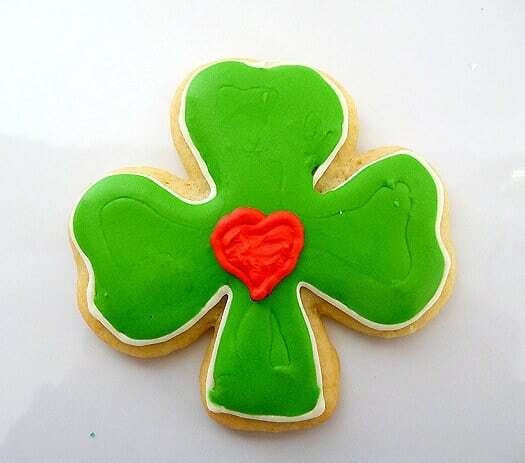 Taking the big step of sharing these with someone definitely shows you love them. Read about how a man proposed to his cake-loving girlfriend. This also ties in with how soppy I am and therefore how much I enjoyed reading people's comments on LoveGivesMeHope. Just to clarify, I'm not an old spinster longing for a marriage proposal whilst feeding my 200 cats. I'm just a hopeless romantic. Honest! There's something very homely about deserts with apples in. Apple always seem to be a key ingredient in what someone's Grandmother makes and their whole family loves. Apply pie, apple crumble, apple strudel are all family favourites that excited friends have told me about. 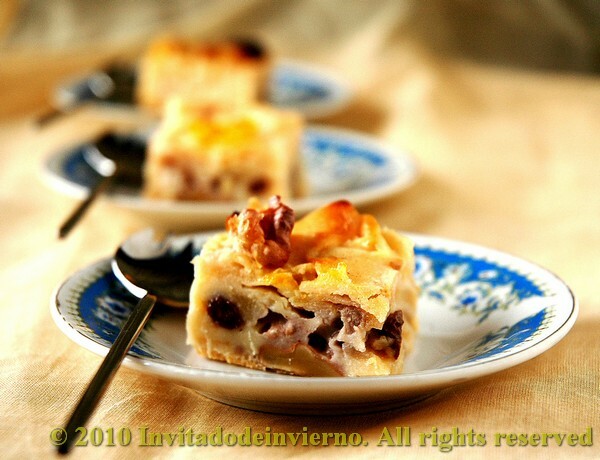 So, I had to share this recipe for Lola's Apple Pie that I found on Foodbuzz. It would be wonderful to think that something I posted on here would one day be a family's favourite Sunday lunch treat! It looks like proper winter comfort food and altogether rather scrumptious! I'm also enjoying the presence of a cheeky single walnut on top too. Wind up your Spotify and get out your tissues! Don't forget to check back for my Valentines extravaganza at the beginning of February! 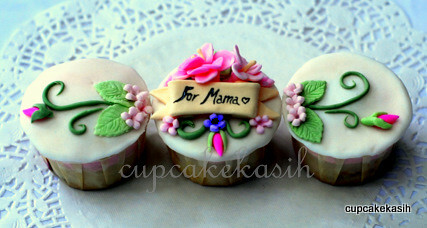 Absolutely LOVE this cupcake by Bakerella! 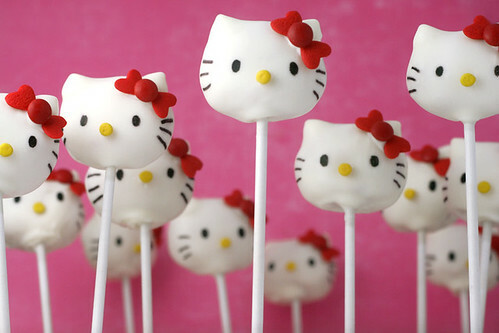 Hello Kitty cake pops, what's not to love?! I digress. 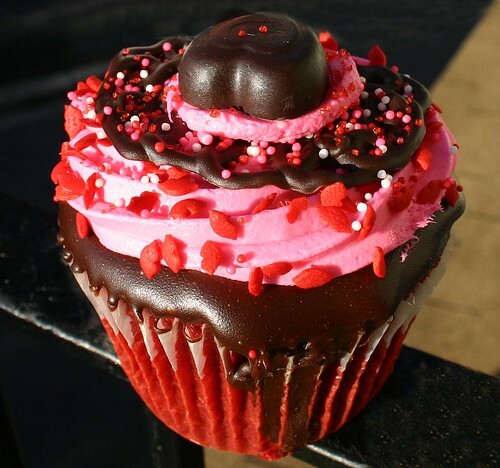 This cupcake is stunning and links nicely into the whole rockabilly trend that's going on at the moment. 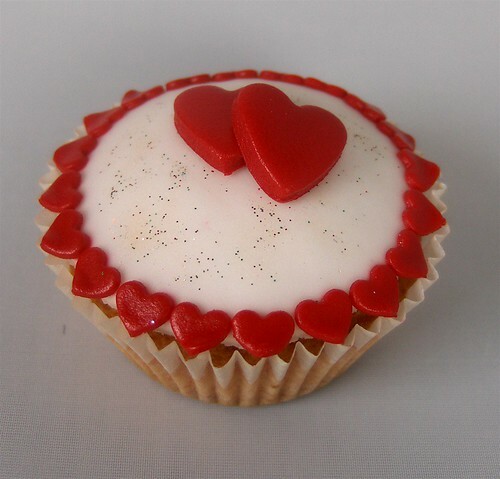 Speaking of Valentines, nearer the occasion I will post some amazing Valentines cupcakes I found a while ago. They are beautiful and worth the wait. Watch this space. I wish I'd thought of this! 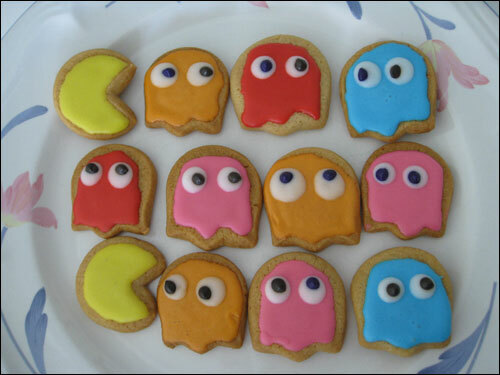 Turn a tulip shaped cookie cutter upside-down and voilà, pacman cookies! Unfortunately I haven't been as attentive to my poor blog than I would like to be recently. I have my first NCTJ shorthand exam in two days and duty calls! I still haven't made a single recipe from the cookery books I got for Christmas. 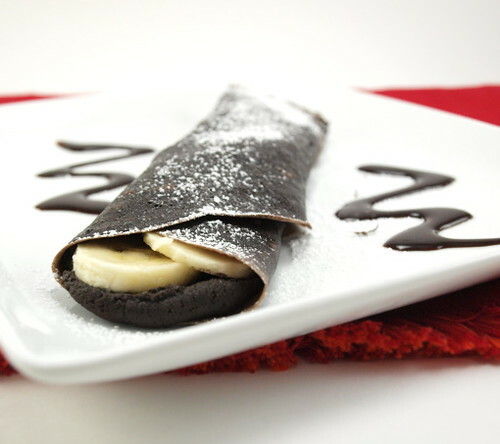 However, I can't help but notice how utterly sinful and delicious these banana and chocolate mascarpone crepes I found on foodbuzz are! 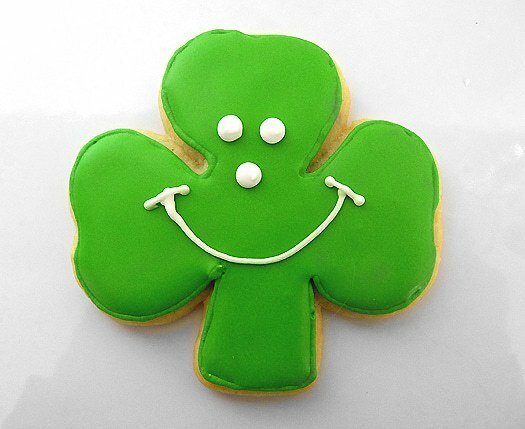 Even though I don't have time to make them, that doesn't mean you can't have a go! Photos and verdicts are welcome! 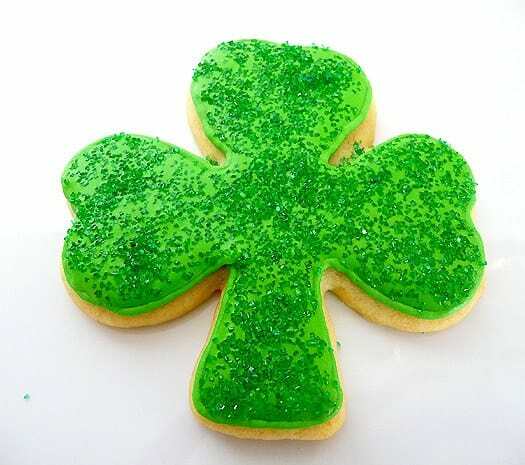 It ain't all about the bakin'!